Neither Zuzki.com nor any providers of information make any warranties, express or implied, as to results to be obtained from use of such information, and make no express or implied warranties of merchantability or fitness for a particular purpose or use. Neither Zuzki.com nor any of providers of information shall have any liability for the accuracy of the information contained in the service, or the contents of any advertisements, or for assertions or omissions therein. No party shall be liable to any other party or any third-party for third-party claims or losses of any nature, including, but not limited to, lost profits, punitive or consequential damages. 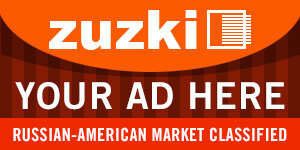 Zuzki.com reserves the right to remove any listings or any advertisements for any reason. In no case shall Zuzki.com be liable for any costs or events that occur beyond its control including, but not limited to, network outages, Internet connectivity problems and client side browser issues. You are entirely responsible and liable for all postings to Zuzki.com . Listed below are some, though not all, violations which may result in Zuzki.com deleting your postings. You agree not to do any of the following requests while posting an ad to Zuzki.com. intentionally or unintentionally violate any applicable local, state, national or international law, including but not limited to any regulations having the force of law while using or accessing Zuzki.com or in connection with your use of Zuzki.com in any manner. You agree that you will not upload or transmit any Content to Zuzki.com that infringes any patent, trademark, trade secret, copyright or other proprietary rights (“Rights”) of any party. By submitting Content to Zuzki.com you automatically grant or warrant that the owner of such Content has expressly granted Zuzki.com the royalty-free, perpetual, irrevocable, non-exclusive right and license to use, reproduce, modify, adapt, publish, translate, create derivative works from, distribute, perform and display such Content (in whole or part) worldwide and/or to incorporate it in other works in any form, media, or technology now known or later developed for the full term of any Rights that may exist in such Content. You must evaluate, and bear the risk associated with, the accuracy, completeness or usefulness of any Content. Zuzki.com shall not be responsible for any Content. Zuzki.com does not prescreen or monitor all Content as a matter of policy, but Zuzki.com shall have the right, but not the responsibility, to remove Content which is deemed in sole discretion harmful, offensive, or otherwise in violation of this Agreement or any rules Zuzki.com has in place at the time. Zuzki.com may elect at its sole discretion to monitor some, all, or no areas of Zuzki.com for adherence to this Agreement or rules. You expressly agree that use of Zuzki.com is at your own risk. Zuzki.com shall not be responsible to you for any content found on Zuzki.com . Zuzki.com expressly disclaims all warranties of any kind, whether implied warranties of merchantability, fitness for a particular purpose, and noninfringement. Zuzki.com makes no warranty that Zuzki.com will be timely, secure, error free, or meet your requirements; nor does Zuzki.com make any warranty as to the results that may be obtained from the use of Zuzki.com or as to the accuracy or reliability of any information obtained through Zuzki.com . No advice or information, whether oral or written obtained by you from Zuzki.com shall create a warranty not expressly made herein. You understand and agree that any content downloaded or otherwise obtained through the use of Zuzki.com is done at your own discretion and risk and that you will be solely responsible for any damages to your computer or loss of data that results in the downloads of such content. To the full extent permissible under the applicable law, Zuzki.com shall not be liable for any direct, indirect, incidental, special or consequential damages resulting from the use or inability to use Zuzki.com or for the cost of procurement of substitute goods and services resulting from any goods or services purchased or obtained through your use of the Zuzki.com classified ads system.